First impressions are most important when it comes to business, but the second most important is website management. At NEXTFLY, we are an Indianapolis WordPress Development company that can create custom websites with a Content Management System (CMS) that not only looks amazing; it makes your life easier by centralizing your data. In other words, we simplify your business life with simple management, which allows you to update existing content along with adding new content, and portrays your business the exact way you want it. WordPress is a content management system, or CMS, which is a web application developed specifically for non-technical users to add, edit and manage content on their website. The content management system that NEXTFLY uses is an open-source content management system called WordPress. WordPress is an open source platform that is built using code that is readily available to everyone who desires to use it. With the code being open source, we can add or remove functionality based on a clients individual needs. Open source is a community-based platform and, because of this, it offers excellent functionality and a flexible service to it’s many users. You don’t pay to use it: Using an open source Content Management System like WordPress means you do not need to pay any fee in order to access the open source content system, however, you can still obtain support. Having WordPress as your CMS, you have a community of WordPress developers that will help assist you with any questions you have. There are WordPress Developers in Indianapolis that might think that paid software is what’s best for your company, however, that is not always the case. Many WordPress development companies start with a lot of ambition, but might end up going out of business. Also, because they own the software, they could decide to stop selling or updating their software or even increase the cost of it. With an open source content management system, there are developers or designers who are constantly updating the software. The software is open to the public and no hidden fees will appear. It’s free to use! : With WordPress being open source, there are many features you can add to your website for free, that many developers will charge you a fee for. Need social media integration on your site? Want a better image gallery? Need to build a new contact form? WordPress has a gallery of plug-ins that you can install that adds functionality to your website immediately. It’s flexible to work with: Open source content management systems are extremely flexible, which is important because every client’s needs for their website are all different. You aren’t tied down to WordPress developers / programmers for your website in order to make changes to it. With open source content management systems, there are no limitations because the code is public. 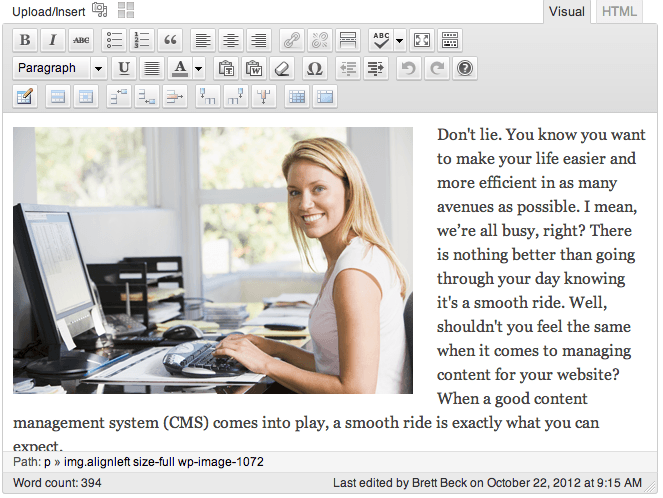 In addition to WordPress being flexible by itself, it is also works well with other software platforms. Have a newsletter you need to send out? You can integrate a sign up sheet into the development of your website for members to sign up. Interested in having your Twitter feed display on your website? There’s a plugin for that. Emphasizes on constant improvements: Due to the fact that WordPress is open-source, many people have the opportunity to come together and collaborate on improvements or additions to the software. WordPress might have started as a blogging platform (link), but because of community behind it, it has turned into so much more. It’s portable: With apps built by WordPress, you can update your website on the go! Make any changes you need to your website pages and posts, or even dig in the code at your convenience with apps for smartphones and tablets. Tested extensively: The other thing about open source is the stability it is associated with. Open source content management systems are tested extensively since a lot of people have access to it. It is also updated frequently so that anything that falls through the cracks can be addressed promptly and updated. 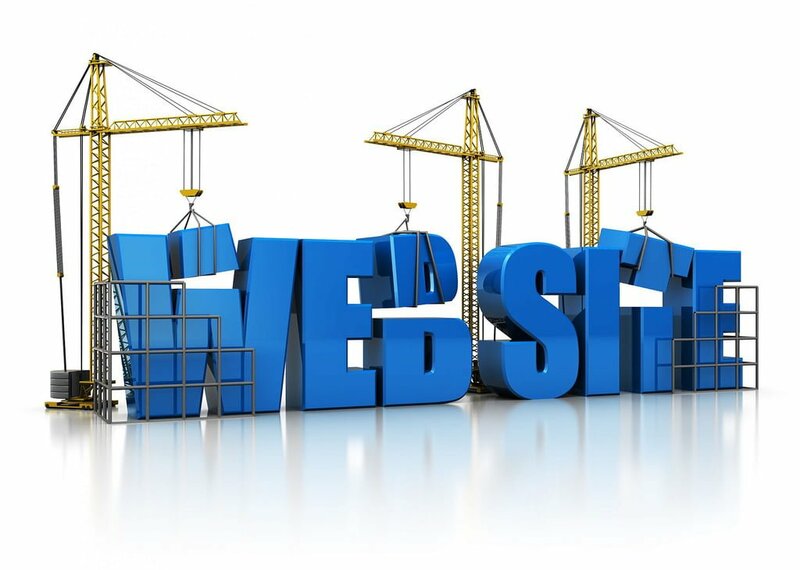 By installing these frequent updates, you can be ensured that your website has the latest new technology on the market. Technology that is free from bugs can ensure that your system is taking advantage of the latest technology that is free from bugs. Get Started On Your Indianapolis WordPress Development Now! So what’s stopping you? Get in Touch with your next WordPress Development company today to get started!